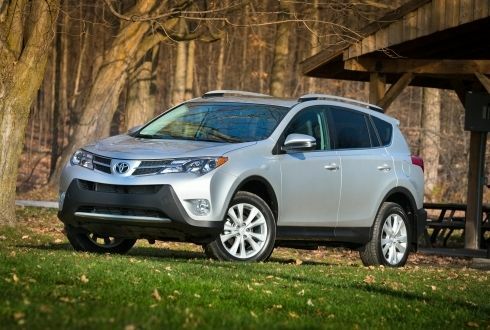 (TORONTO, ON – December 20, 2012) The 2013 Toyota RAV4 delivers improved performance and handling plus advanced features that enhance the driver’s ownership experience. And it does so at a starting MSRP as low as $23,790 – a price that delivers big value for busy Canadians looking for a versatile and safe vehicle that’s a perfect partner on daily commutes and fun weekend getaways. Powerful yet efficient 176 HP 2.5L 4-cylinder engine / Six-speed auto transmission with sequential shift mode / Sport, ECO and normal drive modes. Choice of front-wheel-drive or newly engineered all-wheel-drive system. Increased cargo space of 2078L / New lift-back rear door / Lower loading height. Class-leading eight airbags / Toyota Star Safety System.